If you prefer a 'meaty' style roast then this is a good option. If you haven't used wheat gluten before my only recommendation when working with it is to make sure any liquid you add into it is cold. Warm or hot water creates a horrible stringy mess. It might initially look time consuming but most of the time it's cooking, you're not standing over it. 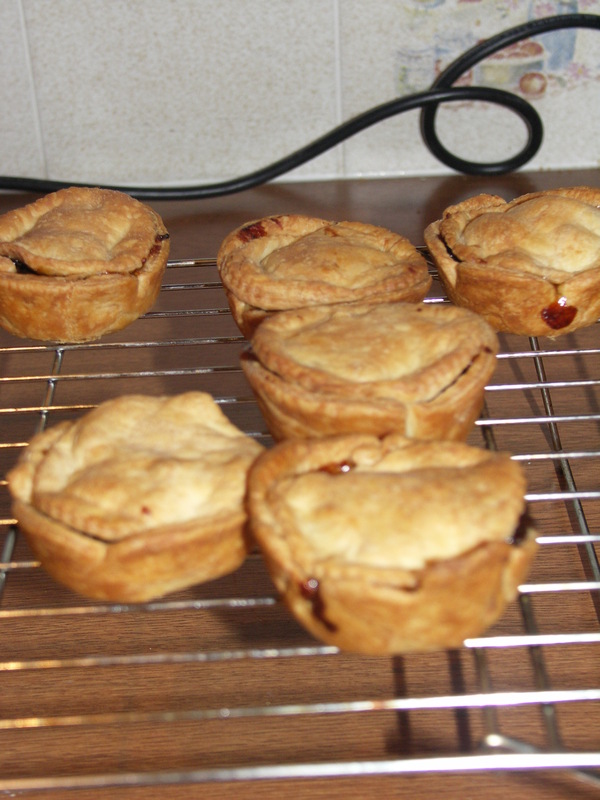 You don't have to make one from scratch but if you have an old family favourite then use it here. I made a simple oatmeal stuffing by sautéing half a large onion (finely chopped) in a decent amount of oil before adding in oatmeal, salt and pepper. ( there is a better recipe here) set aside. Lots mores vegetable stock (and I threw in some lemon slices, a chopped onion and a handful of peeled garlic cloves. Mix all the dry ingredients in a bowl. Mix all the wet ingredients together in a jug. Add wet to dry until you have a very springy dough. On the work surface spread out the dough until it is a flattish rectangle. This will be quite difficult and may take a few minutes. Place it on Some cheesecloth or muslin. You could eat it like that but so much better to rub it with oil and roast it in with your vegetables until crispy! When sliced the stuffing is all through the middle. Its a good replacement if you are missing the turkey and stuffing. [Edit: I should have mentioned a number of extra things but didn't. 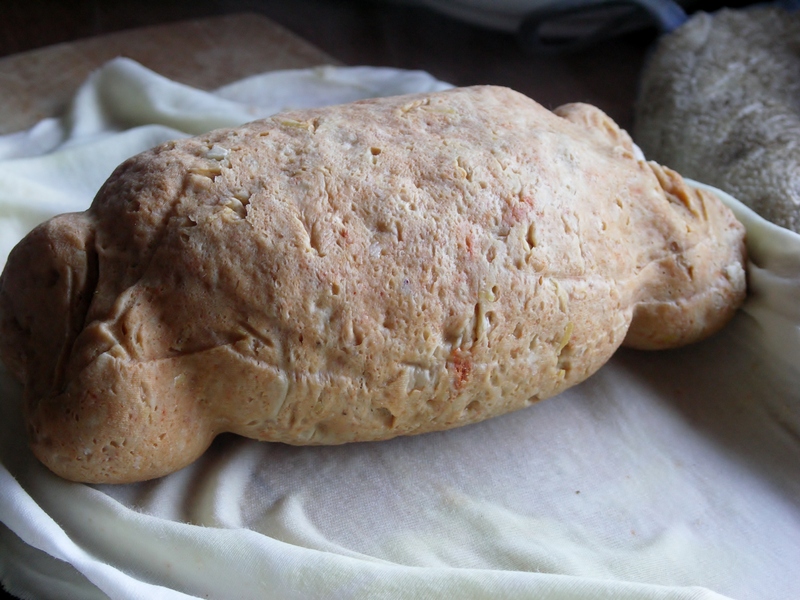 1) while you don't add hot or warm water to the dough you can for the stock it sits in. This will speed up cooking time in the oven. 2) you can get it up to a simmer on the job and then put it in the oven (another way to speed it all up) DON'T allow it to boil or the texture becomes spongy. Gentle and slow is the key here as it produces something denser. 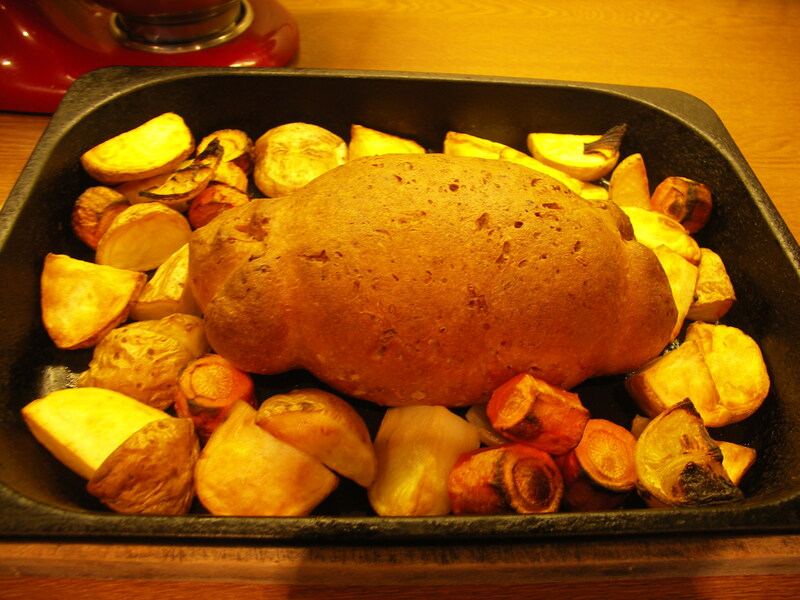 3) I wasn't clear above but if you want it slightly crispy don't roast it in the oven for the entire time it takes roast potatoes to cook others it will become tough. Keep it warm in it's liquid and then brush with oil and give it just 15 to 20 minutes. We have now eaten 2 whole Christmas cakes. They were just too good. Wow! 2 Christmas cakes and 24 mince pies between 3? It’s still two weeks to Christmas! I can’t really say anything though as I have been eating lussekatter for breakfast along with chocolate marsipan muffins. i like to think they have all been putting me in a festive mood. Seems to be working! 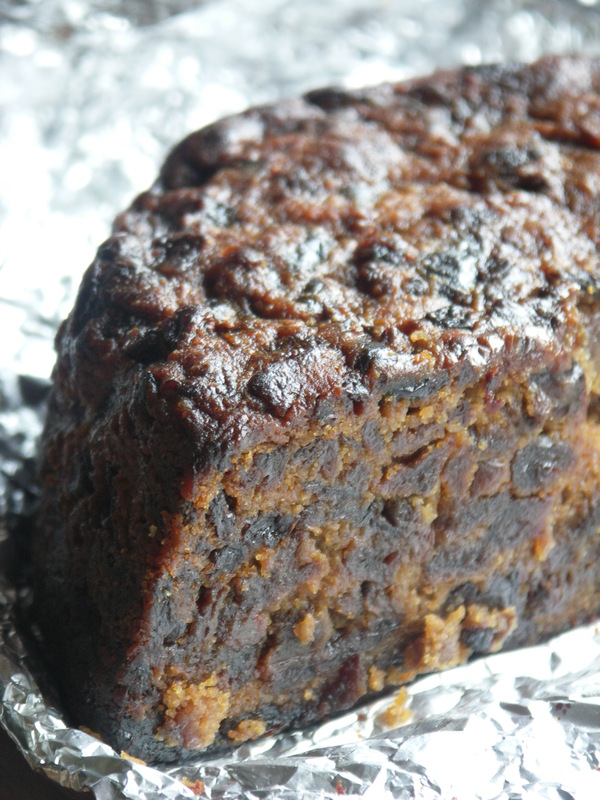 there will be no cake at christmas as NOT making another…only because i used up all my dried fruit and dont want to buy more this year.